In Episode 109 of Beer, Bros & BS we discussed our favorite and most surprising beers from this year’s Wakefest, we caught up on the adventures of Florida Man, Bud Lite and their “corny” Super Bowl commercials, Pepsi putting their beverage on nitro, Xbox Live going to the Nintendo Switch and the oldest beer found in England. We started off the show with a new version of Would You Rather (thanks Jess) and like always we ended with everyone’s favorite way to vent, What Burns Your Bacon. 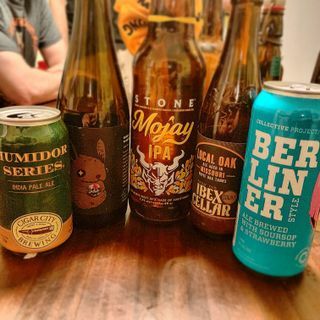 On ... See More top of all that, we also got to try some delicious beer by Stone Brewing, Cigar City, Collective Arts Brewing, Schlafly and a homebrew by our very own Jose and JJ. Make sure you’re a friend of the show and subscribe to us.